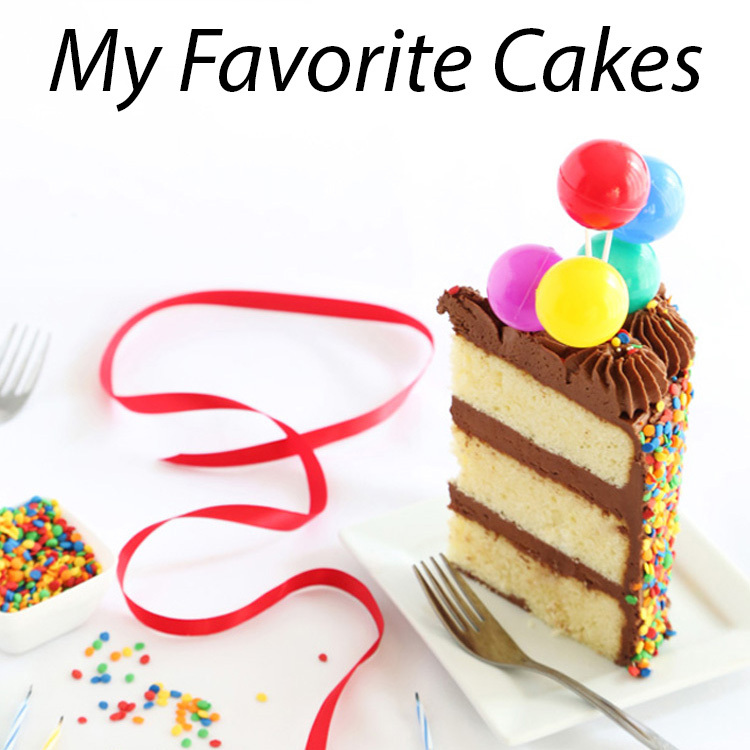 Cakes get a lot of attention here, and maybe that's why this blog is a little deficient in brownie recipes. It doesn't make much sense because I adore brownies, especially when they are dark, dense and fudgy like these. Summer all but here (and officially on June 21st), so that makes me want to celebrate tropical flavors, like coconut! Not only do these brownies have a heaping helping of golden toasted coconut on top, they also have a coconutty secret ingredient inside. 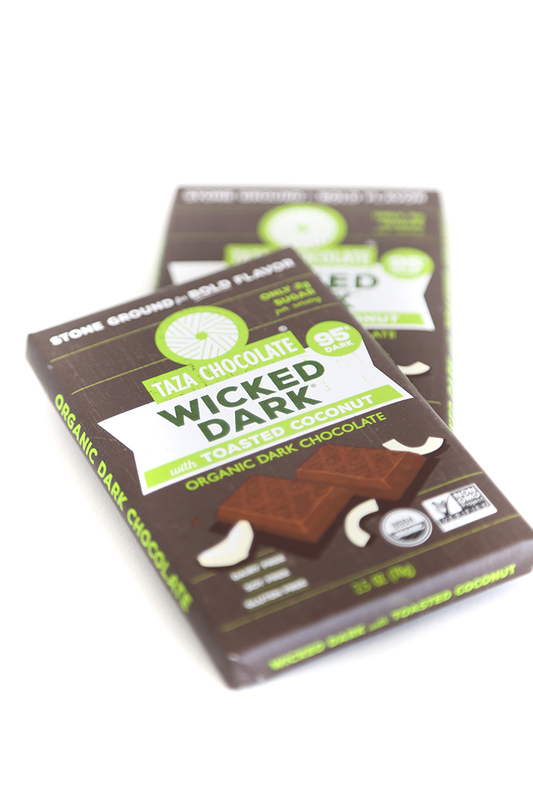 Taza chocolate is wonderfully inventive with their stone-ground chocolate bars. I mean, HELLO Dark Chocolate Toasted Quinoa!?? 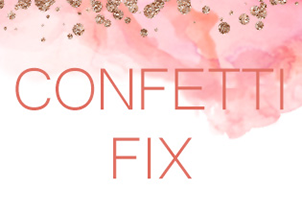 (Yes please.) I've had these Wicked Dark with Toasted Coconut bars on hand just waiting for the right sweet thing, and these brownies were it! The chocolate emulsified beautifully into the brownie batter, and because the bars are 95% dark chocolate, you could replace the unsweet chocolate in most any recipe with equal amounts Wicked Dark (like we did!). 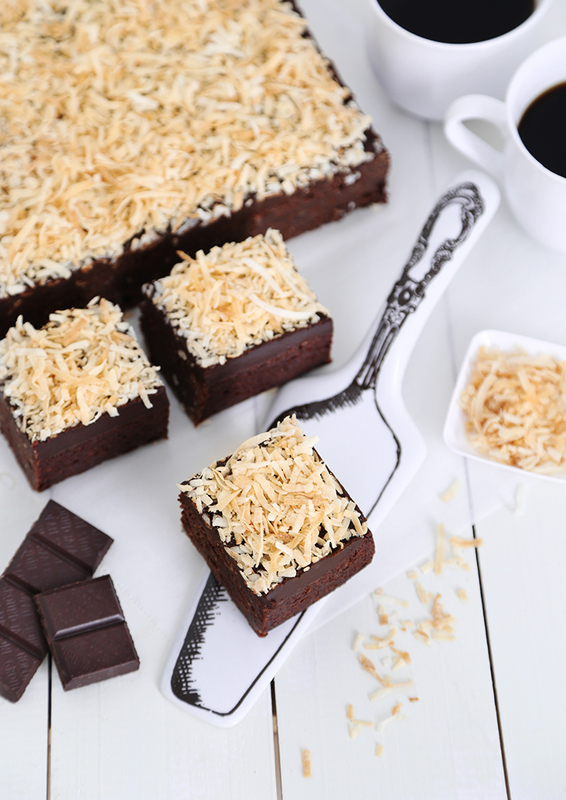 The uncut brownie square is topped with a simple ganache that serves as an adhesive for loads of toasted coconut. A pan of these brownies will serve about a dozen people, but since they are so rich and decadent, you may choose to slice them in smaller pieces. I recommend enjoying these with a strong cup of coffee or a tall glass of ice cold milk! Finely chop the chocolate bars using a large chef’s knife. In a small saucepan over low heat, melt butter and chocolate together. Remove from heat and allow to cool 10 minutes. Preheat oven to 325°F. 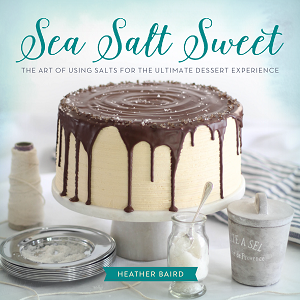 Spray an 8x8-inch square pan with flour-based baking spray. 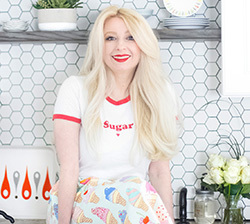 In a large mixing bowl, beat eggs, sugar, vanilla and salt together. Stir in the melted chocolate mixture then add flour and mix well. 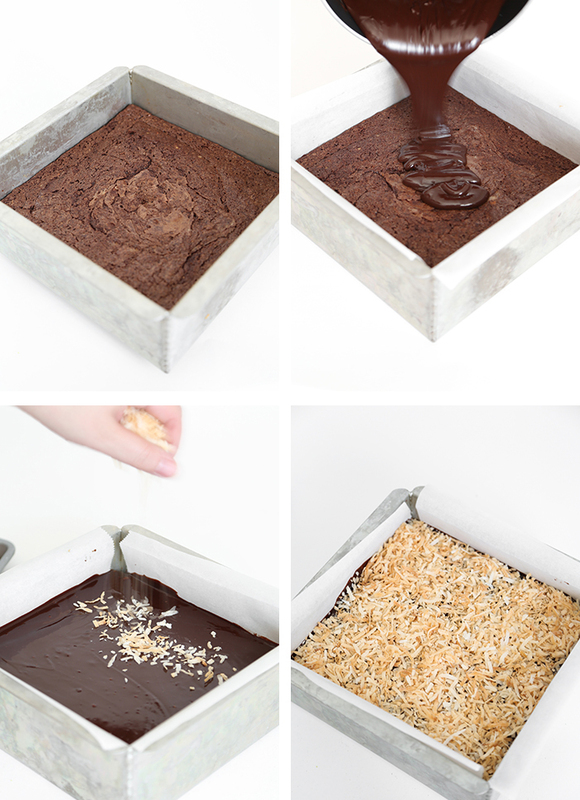 Pour the brownie batter into the prepared 8x8- inch baking pan. Spread evenly in the pan and bake for 50-55 minutes. Let cool in the pan for at least 30 minutes. Turn the uncut brownie out onto a wire cooling rack. Line the baking pan you used with two strips of parchment long enough to overhang the edges of the pan. (This will make icing these brownies a neater process, and make them easier to remove from the pan later!) Carefully return the brownie back into the pan. In a small saucepan over medium-low heat, warm the heavy whipping cream until it is just hot and beginning to steam. Remove from heat and pour in the semisweet chocolate chips. Let them stand for one minute to soften. (This loosens up the stabilizing agents used in chocolate chips and makes them melt more easily - but if you have a finer grade of chocolate, by all means use it!) Once the chocolate is softened, stir the mixture with a whisk until the ingredients are blended and glossy. Let the ganache stand for 10 minutes or until slightly thickened, then pour and spread evenly over the top of the brownies in the pan. Spread flaked sweetened coconut evenly on cookie sheet and bake for 8-10 minutes, watching the pan carefully so the coconut doesn’t burn. About 5 minutes in, stir so that the coconut toasts more evenly and put back in the oven to finish baking. 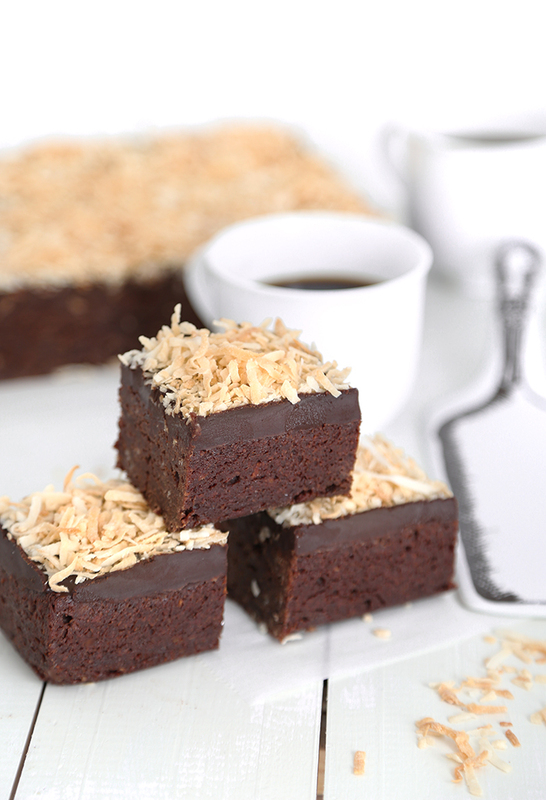 Let cool about 10 minutes, and then cover the ganache layer on the brownies with the toasted coconut, spreading evenly out to the edges. Refrigerate brownies for 30 minutes, or until ganache icing is firm. Lift the brownies out of the pan with the overhanging parchment. Chilled brownies will slice neatly with a large chef’s knife. Bring to room temperature before serving. Yum! I love how delicious that deep chocolate looks! 😘 Thank you! 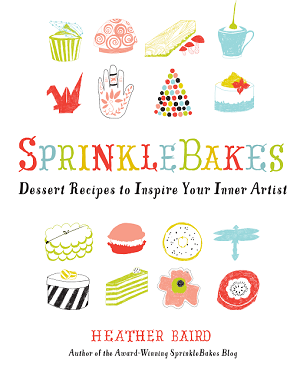 Everyone needs a baking day. It's good for the soul. 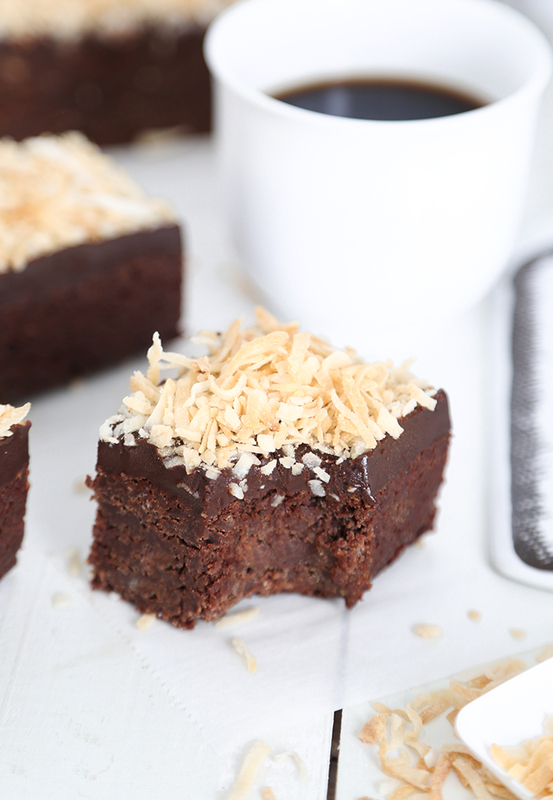 I love chocolate and coconut together! These brownies look and sound so delicious!